Tarangire National Park Tarangire is often referred to as the “Baobab Capital of the World”. 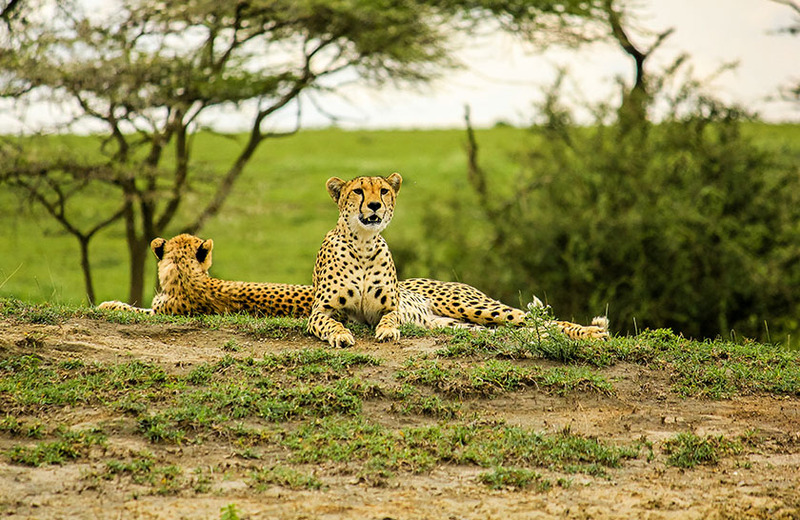 The park is 75 miles from Arusha, which is approximately a 2-hour drive on a tarmac road and is one of Tanzania’s larger parks with over 1,100 square miles in size. 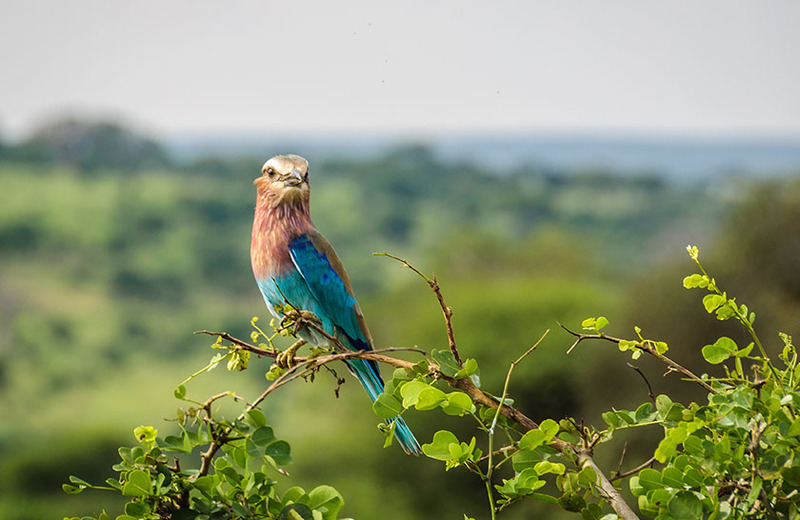 Tarangire is renowned for its wild landscapes and diverse habitats. The Tarangire River, from which the park derives its name, is the only permanent water source within 1,600 square miles of protected wildlife area. In addition to numerous animals, the park has over 550 recorded species of birds and has the highest recorded number of breeding bird species of any habitat in the world. Tarangire is most famous for its elephants. There are 3,000 resident elephants in the park during the green season (Nov-May) and another 3,500 individuals migrate into the park during the dry season (JulyOct). Elephants can begin to migrate into Tarangire as early as May and June as they follow the long rains and love the tall swamp grass found in Tarangire National Park and especially in the swamps. 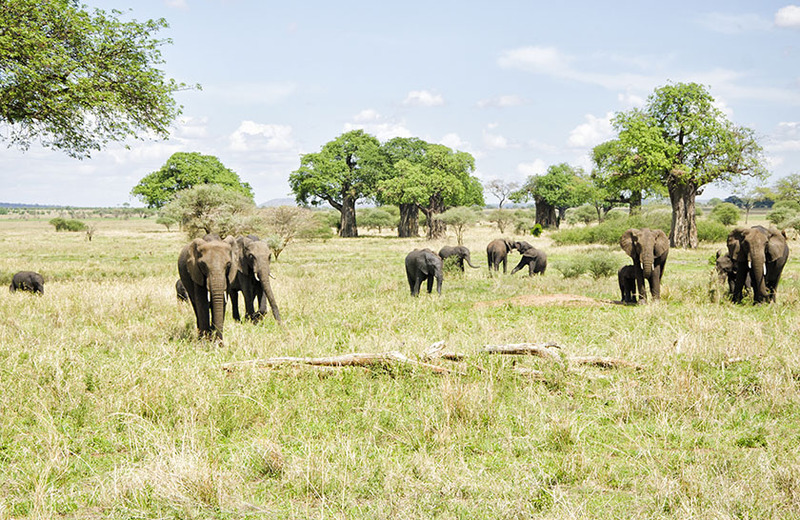 Elephant watching is excellent in Tarangire all year round as is bird watching as well. 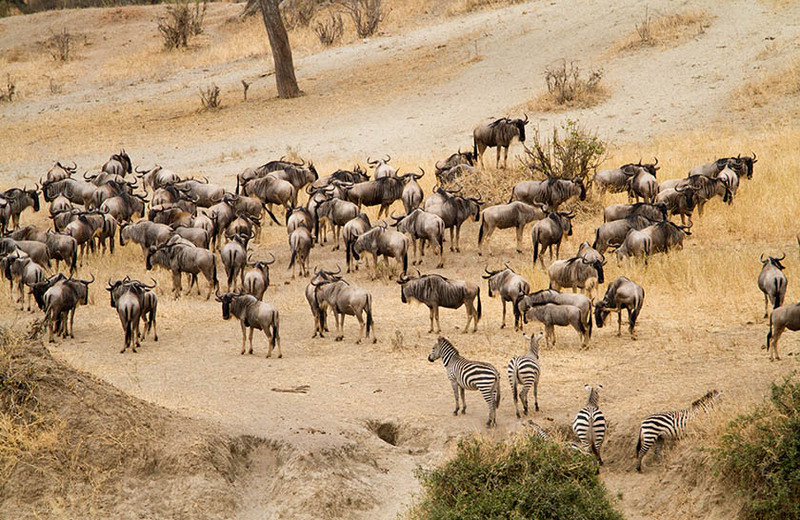 During the dry season, herd animals of all kinds (elephants, wildebeest, zebra, gazelles and antelopes) migrate from the surrounding areas for the water found inside the park. 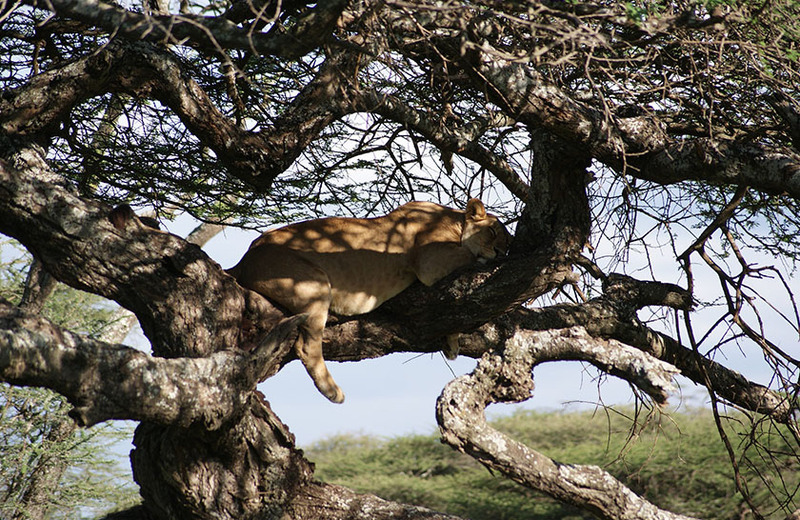 Tarangire is home to the greatest concentration of wildlife outside of the Serengeti eco-System. During the dry season, giant rock pythons leave the swamp areas to avoid being stepped on by herd animals and live in the trees on the edge of the swamp. These are amazing creatures and some of the most unusual wildlife viewing is of rock pythons killing large animals of all kinds! Tarangire is also home to the last remaining pack of wild dogs in northern Tanzania. They remain an extremely elusive find, but in the last few years one pack has been breeding successfully and has been seen in the Silale and Gursi Swamp areas of the park.